Industrial high pressure fan blowers, high temperature fans and high pressure ventilators, centrifugal and axial blower fans, roof / wall exhaust and supply and exhaust fans and inline ventilator blowers. Quick ship of high pressure blowers and ventilation fans. Blowers Depot is a leading supplier of industrial and commercial fans, ventilators, blowers and accessories for various air-moving applications. Blower Depot products include standard centrifugal fan and axial fan designs as well as custom manufactured fan units to meet our customers' requirements based on the highest manufacturing standard. 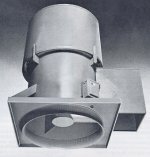 Over the years we supplied fans to a wide range of industries and applications including: combustion air supply, material handling, process ventilation, ovens and dryers, iron and steel industry, mine and tunnel ventilation, petro-chemical, power generation, marine and off-shore structures, pulp and paper, HVAC, paint / spray booths, fertilizer and various emission control applications. For the commercial HVAC market, we offer general ventilation fans for institutional and retail buildings, schools, restaurants and hospitals. Special materials, construction, explosion-proof and spark-resistant design, variety of coatings and accessories are available to meet practically any ventilation application needs. Blowers Depot air moving products are best know for "industrial quality" assuring reliable performance, relentless dependability and longevity. A staff of specially trained engineers will design a dependable fan that exactly fits customers' dimensional and performance requirements. Our fans and blowers are sold and serviced by air moving experts that can evaluate your needs and provide best recommendations for your application. 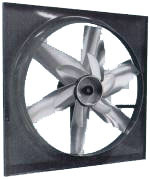 Sales of industrial fans & blowers, high pressure blowers, centrifugal fans, axial ventilators, roow and wall exhaust and supply fans, material handling blowers & radial fans, scroll cage fan ventilators, high temperature fans and blowers, New York Blower, Twin City Fan / Aerovent, Chicago Blower fans, Peerless Fans, Dayton Ventilators, Sheldons fans & blowers, Canarm Leader ventilators, IAP fans, Industrial Air. Sales of OEM industrial blowers and fans: high temperature fans, high pressure blowers and explosion proof ventilators, stainless steel and flame proof fans and blowers. Quick delivery from stock of centrifugal fans and blowers. When inquiring about purchasing a centrifugal fan you will more than likely need someone from the company in which your purchasing the fan to come and take a look at the conditions the fan will be placed and also to check what kind of air pressure there is within the area. 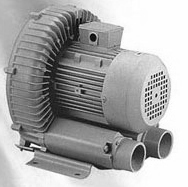 Distributor of high pressure blowers, industrial fans and ventilators, high temperature oven fans and blowers, centrifugal and axial blowers and fans. We offer SST stainless steel packaged fan, blowers, ventilators and custom industrial ventilating blowers. Production of air scrubber blowers, fume collector fans, positive displacement blowers, Aeroven Blowers, Twin City, NYB fans, blowers & fans repair and rebuild, Lau fans, plug fans ventilators, sheldons fans blowers, cooling fans, FRP ventilators, industrial mancoolers, Cincinnati fans / blowers, air polution control ventilators, blowers and fan exhaust systems, air make-up fans, air knife pressure blowers, high pressure blowoff fans, burner blowers, combustion process fans, conveyor blow-off fans, air canon fans, dust collector blowers, finishing systems fans, fan exhausters, fume exhaust ventilators, furnace fan blowers, incinerator fans. 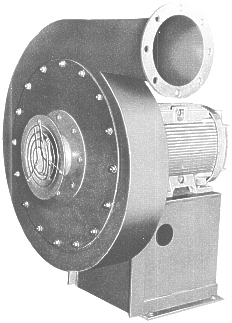 Explosion proof backwardly inclined; airfoil; radial and radial-tip fans and blowers. Pressure blowers; plug fans; air kits; centrifugal and axial ventilators. Acid resistant blowers, agitation and aeration FRP and Propylene blowers, blower filter units, blower filters, blower repair and rebuild, Barron, fan and blower balancing, fan and blower wheels and impellers, air jet blowers and systems, axial blowers, cooling blowers and fans, corrosion resistant blowers, fiberglass reinforced plastic and PVC blowers and fans, furnace fans and blowers, mobile and package fans and blowers, manhole fans and blowers, electric and gasoline motor driven fans and blowers.